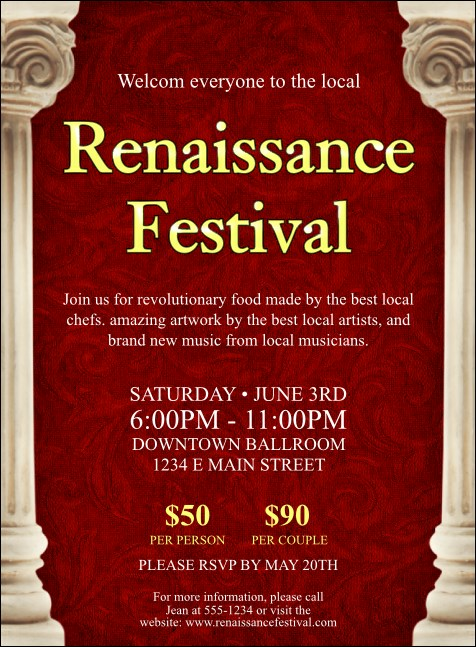 Invite enlightened and innovative guests when you send out the Renaissance Invitation before your your faire, festival, or educational gathering. Classic columns frame a deep red background. Enter eighteen lines of your event information into the easy template below and we'll send them your way! Find tickets, posters, and flyers in a Matching Event Kit from TicketPrinting.com.